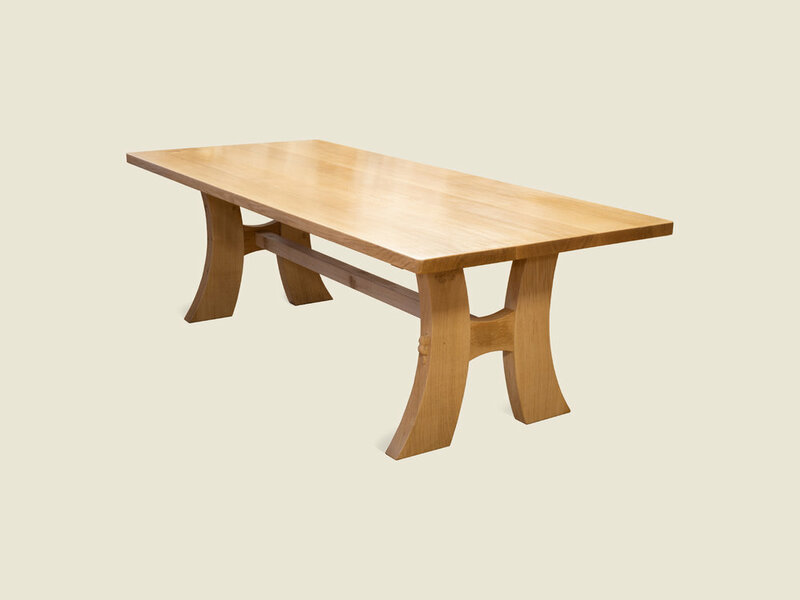 Rectangular contemporary dining table, in natural English oak with an “H” frame leg design. The table has been treated with a polyurethane lacquer to provide protection against heat and spills but may be oiled or waxed. We recommend an all over lacquer finish for kitchen use.